Yesterday my fiancé and I went out to dinner to celebrate our 1 year anniversary of being engaged. The actual anniversary was October 1st, but we were busy. I can't believe it's already been a year! We have finally set a date and I'm getting married next June. I wore this dress. 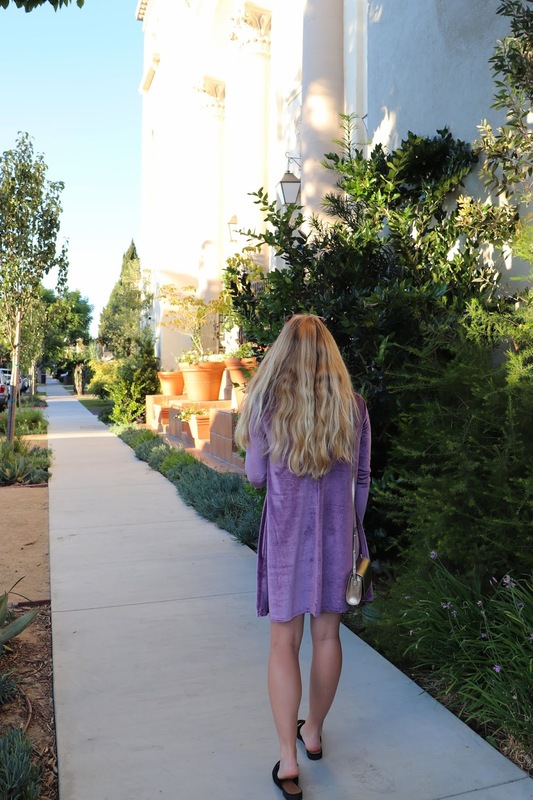 It's a basic swing dress, made with purple velvet. I found it at Forever 21. I just paired it with gold accessories and my black loafer slip-ons. The weather in southern California has actually cooled down enough to wear autumn clothes in the evenings and mornings.